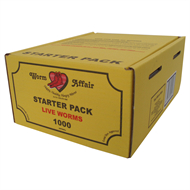 Worm Affair Live Organic Worms are perfect for use in a worm farm for recycling household food scraps and turning them into a nutrient rich fertiliser, perfect for your garden. Planting & Growing How to propagate plants You’d be surprised how easy it is to propagate plants from clippings. We’ll show you how in a few quick steps. Planting & Growing Protect your garden with companion planting Companion planting is growing certain types of plants together so that they help each other to grow better. They can keep pests or insects away, improve a plant's growth, attract insects that help with pollination and fix nitrogen in the soil. Planning & Projects D.I.Y. garden tool storage rack Garden tools can be tricky to store away neatly because of their size and shape. Find out how to create a garden tool storage rack with this guide from Bunnings.